There are a few dishes that remind me of each of my grandparents and this is one of them. It reminds me of my mom's mom, Josephine. She was born in Italy and came over to the U.S. when she was 2 years old. 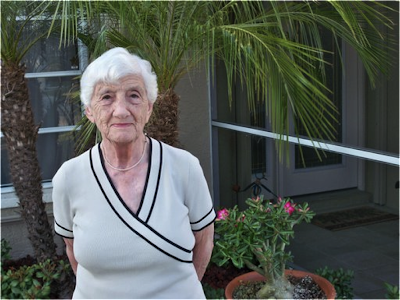 She grew up eating real Italian food and a few of the recipes were passed down to her kids and grandkids. I remember her making artichokes like this all the time when I was little at big family dinners. My grandmother was crazy about feeding people and there was always a full house with food for 3 times the number of people who were there. The taste of this dish will always bring me back to big family dinners at my grandparents' house. These artichokes are really fun to eat- they're messy and you have to work for it but they are so worth it. Be careful of the little prickly hairs as you get to the heart- scrape these off and do not try to eat them. You will most certainly get them stuck in your throat. 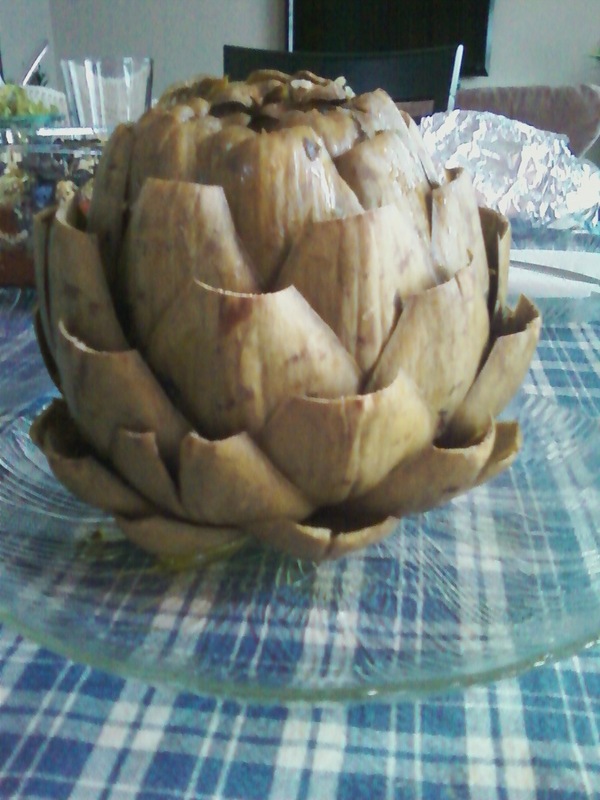 How anyone ever decided to eat artichokes is beyond me. 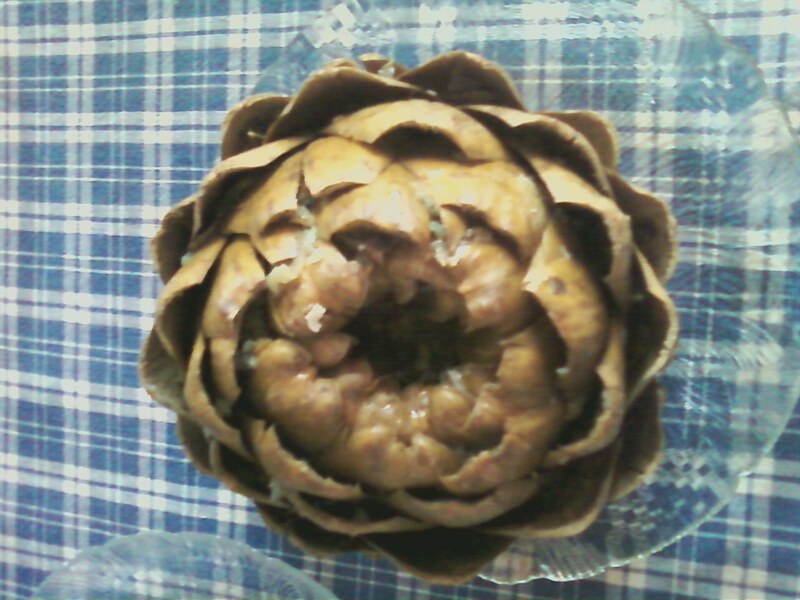 BUT when you get to the heart, after you scrape off all the little hairs, you get to the most delicious and meaty part of of the artichoke. It's wonderful. 1. Cut sharp tips off with scissors and cut the bottom stem so it lays flat. 2. Stretch out the leaves as best as you can and rinse out gently with water. 3. Stuff in between the leaves with parsley and garlic and then drizzle with olive oil in between the leaves. Add a pinch of salt. 4. Now, place in the prepared pot (about an inch of water, or at least so the stem is in the water) and steam for about 30 minutes or until the leaves can pull off easily. 1. Pull off the leaves and, holding the thinner end, put the larger end in your mouth and pull it out, scraping your teeth on the leaf to get the meat off of it. Discard the leaf on a plate. Repeat until you get to the center of the artichoke. 2. Once you get to the little hairs, scrap them off with a spoon and discard these. You DO NOT want to eat them. Trust me. 3. Eat your heart out with the heart! The vegan-friendly city of Chicago!